In giving back to the community, Belarde Company presented at the Snohomish School District’s Career Day. 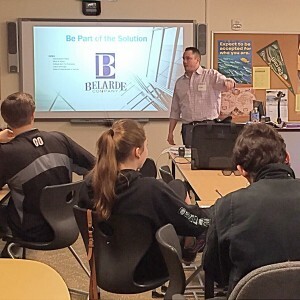 Led by Jacob Belarde and accompanied by Russ McKenzie and Tinah Rivas, our team members provided insight into what a career in the construction industry can be like. The students showed great interest and were surprised about the number of career opportunities the construction industry presents for both men and women.